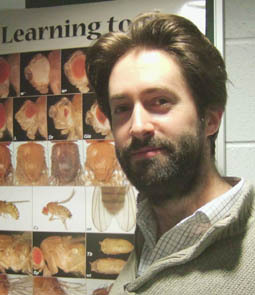 Dr D Bennett heads the Drosophila cell signalling laboratory. The goal of this laboratory is to understand the cellular signalling networks that regulate normal growth and development and underlie aberrant events such as tumour formation and metastasis. A major research interest is the regulation of these processes by reversible protein phosphorylation, which is a critically important mechanism of intracellular signalling, and especially by protein phosphatases, which have been relatively under-investigated.